Earlier this year, the Royal Society of Chemistry’s Chemists' Community Fund introduced Student Hardship Grants. The charity's Development Specialist Lara Pocock discusses the current landscape of student support; why so many students are struggling with their finances; and what her charity is doing to help. Why are more students struggling financially? As with the general population, students have been subject to the rising cost in living, alongside an ever-increasing level of debt. Over the last 15 years, student tuition fees in England have risen from £1,000 to £9,250 per academic year, with the majority of students now graduating with vast amounts of debt. In fact, the independent Institute for Fiscal Studies estimates students from the poorest backgrounds can end up borrowing up to £57,000 to complete their studies, with graduates then going on to earn an average of £19,000 - £22,000 from their first job. With copious amount of debt playing in the back of the mind, a steady stream of students are now approaching Student Support Offices with mental health concerns, with many reporting a close link to their problems and their financial wellbeing. Another growing trend, reported in a recent article from the National Union of Students, is the number of students relying on gambling to help with living costs and debt. A report revealed three in five students have placed a bet in the last 12 months, with half of those doing so to make money. This is backed up by university hardship funds, who have reported an increase in students approaching them for support with gambling addictions. Where does current student funding come from? Currently, the majority of student finance comes from government or university resources, which can be topped up by parental contributions and/or money earned through a part-time job. Increasingly, if a student experiences financial difficulties within the course of their study, they are turning to additional sources of support, including university hardship funds and charities. 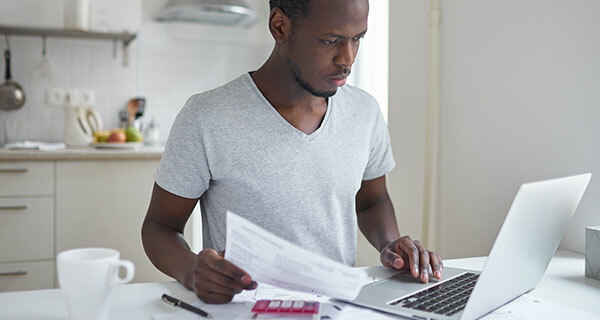 To be eligible for these types of additional support, students must demonstrate they had budgeted for living costs when commencing study and therefore the hardship is due to unexpected circumstances. University hardship funds can offer discretionary grants to students who meet their criteria and these do not need to be paid back. However, these grants are limited in all areas, and hardship funds are often unable to cover the full costs required to allow a student to continue studying. In this scenario, hardship funds often signpost students to other charities, including occupational benevolent funds and the Turn2us Grant Search. Students may also be encouraged to approach debt support charities and their student union, who often have trained debt support workers. After seeing an increase in the number of undergraduate students approaching us for support, the Chemists’ Community Fund have launched Student Hardship Grants. The Grants are available to all student members of the Royal Society of Chemistry, including those undertaking vocational training, and are facing unexpected or exceptional circumstances. Previously these members would have been unlikely to receive support from the Chemists' Community Fund, as grants are normally awarded to those with at least three years membership of the society. The grants, which support members for up to a year, can be used for living costs, travel, accommodation, equipment or course materials but are not available to clear debt, pay fees or for social activities. Are you a member of the Royal Society of Chemistry and a student? If you are a member of the Society and are struggling with exceptional circumstances, then contact Chemist's Community Fund.